Sunstone series features contemporary oval design. The increased interior depth allows bathers to enjoy the true deep soak, turning each bathing session into an unforgettable experience. Creates an elegant, functional centrepiece for your bathroom and the focal point for relaxation. Aesthetically appealing and physically soothing merging both worlds into a triumph of elegance. 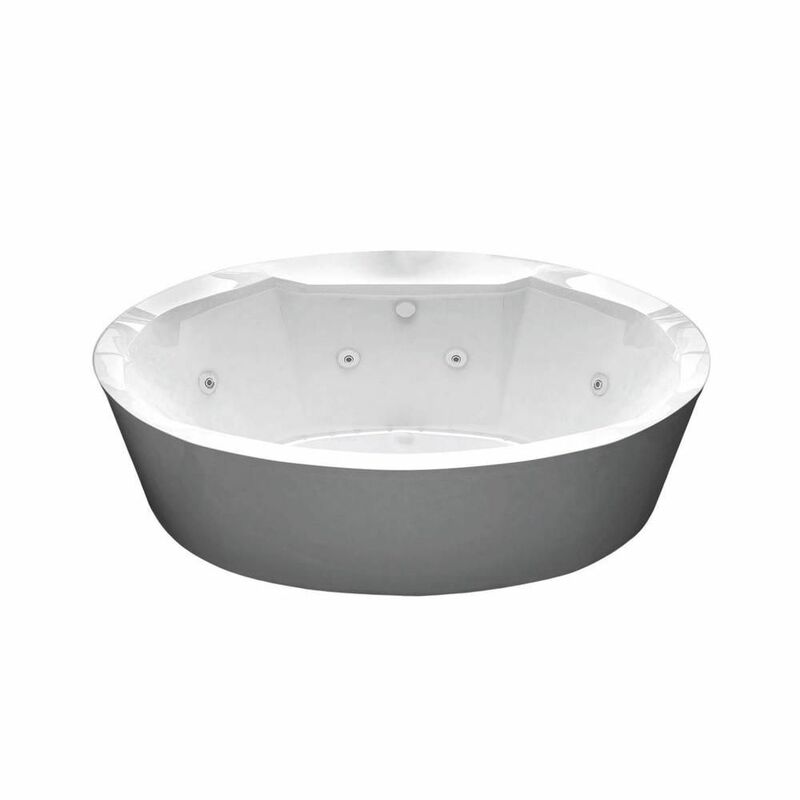 Sunstone 5.7 ft. Acrylic Flatbottom Whirlpool and Air Bath Tub in White Sunstone series features contemporary oval design. The increased interior depth allows bathers to enjoy the true deep soak, turning each bathing session into an unforgettable experience. Creates an elegant, functional centrepiece for your bathroom and the focal point for relaxation. Aesthetically appealing and physically soothing merging both worlds into a triumph of elegance. Sunstone 5.7 ft. Acrylic Flatbottom Whirlpool and Air Bath Tub in White is rated 3.0 out of 5 by 1.